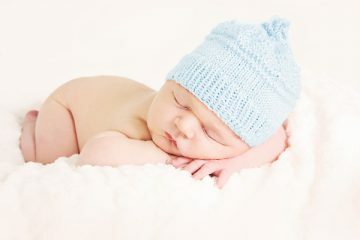 In this article is a graph that will show you averages of how long a baby will sleep overnight. 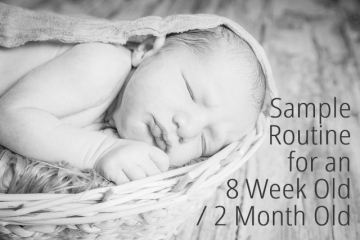 You will see that in the early months the number of hours is very low, this is because baby still needs to be fed quite often. 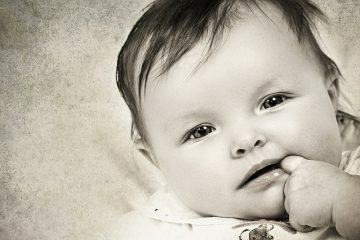 As they grow older they require less overnight feeds and the number of hours of uninterupted sleep will lengthen. This graph shows the average (and keep in mind that there is great variation in infants) and is based on the number of hours babies sleep without needing a feed (getting up to resettle is not included, as some children still need resettling during the night up until around 5 years of age). 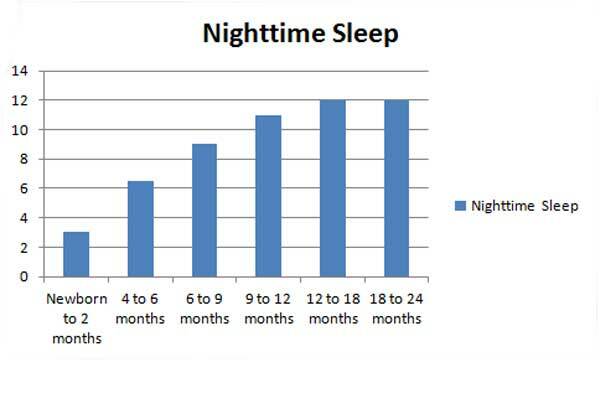 If your baby isn’t getting the same amount of sleep this chart is suggesting, don’t worry, particularly if they are young. If you baby is approaching the 18 month to 2 year old mark and you are still struggling with night time feeds or long stretches of sleep without your intervention, then it might be time to seek some professional assistance. For more information on help with night time sleep, see the post about sleep schools.